This blog explores the gender content of key PMTCT policy documents and discusses how this area could be strengthened. In Tanzania, the prevention of mother to child transmission of HIV (PMTCT) is a health sector priority, but there is very little information on how well gender mainstreamed in relation to national PMTCT guidelines. Mainstreaming gender into PMTCT programming is expected to lead to increased coverage, efficiency, and effectiveness of services, contributing towards a reduction of child and maternal illness and death. Unequal decision making power in sexual relationships, contraceptive use, and in choosing infant feeding options. Our research assessed the gender content of key policy documents in order to better understand how this area could be strengthened. Level 1 – gender unequal – contains content which perpetuates gender inequality by reinforcing unbalanced norms, roles and relations. Level 2 – gender blind – contains content which ignores gender norms, roles and relations. The content of such documents, for example, ignores differences in opportunities and resource allocation for women and men. Level 3 – gender sensitive – contains content which indicates awareness of the impact of gender norms, roles, and relations, but no remedial actions are developed. Level 4 – gender specific – contains content which goes beyond indicating how gender may hinder PMTCT to highlighting remedial measures, such as the promotion of couple counselling and testing for HIV. Level 5 – gender transformative – contains content which includes ways to transform harmful gender norms, roles and relations. Such documents contain strategies to foster progressive changes in power relationships between women and men. Gender is mentioned: Gender-related issues are mentioned in all of the guidelines, indicating some degree of gender responsiveness. The level of gender responsiveness of PMTCT policy documents, however, varies, with some graded at GRAS level 3 (gender sensitive), and others at GRAS level 4 (gender specific). None of the reviewed policy documents could be graded as gender transformative. 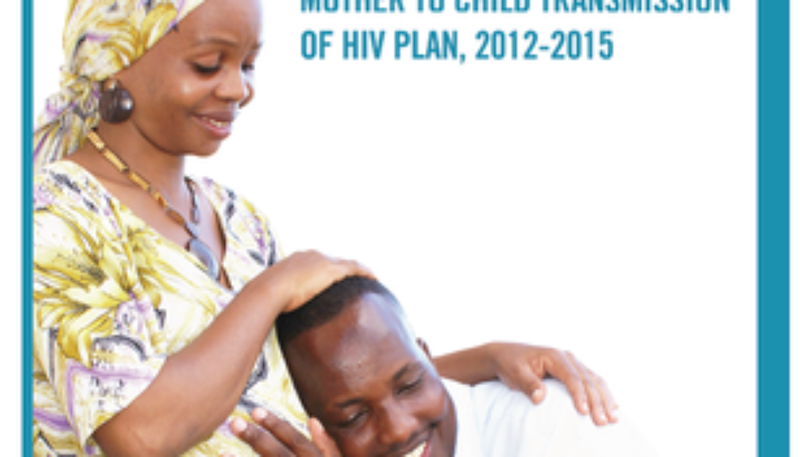 Gender sensitive policies included the National Scale up Plan for The Prevention of Mother to Child Transmission of HIV and Paediatric HIV Care and Treatment, 2009-2013, The National Guidelines for Comprehensive Care Services for Prevention of Mother to Child Transmission of HIV and Keeping Mothers Alive (2013), and the National Communication Strategy for the Elimination of Mother to Child Transmission of HIV (2014 – 2017). These documents have sections acknowledging the influence of gender on PMTCT, but lack sections on remedial measures. And when statements do consider gender, they are often too general to offer effective guidance. Policies rated at GRAS level four went beyond indicating gender awareness to also state measures for addressing specific concerns of women and men and addressing gender inequity. This was the case only for the National Training Refresher Package: Services for Comprehensive Care and Prevention of Mother-to-Child Transmission, Participant Manual, 2013. But policies do not set out to transform gender relations: While the policy documents indicate recognition of gender inequality in decision-making and access to resources as a barrier to accessing PMTCT services by women, no attempt is made to transform harmful gender norms, roles, or relations. For example, the policy documents do not include actions to transform norms around masculinity that discourage men from seeking care, taking an HIV test, or accompanying their partners to PMTCT clinics. And they haven’t mainstreamed gender: Overall, gender was not mainstreamed into any of the documents in the sense that gender was not considered in all key sections. For example, gender was not integrated into the documents’ goals and objectives or the strategies. As a result, while the documents were responsive to gender at different degrees, gender was not effectively mainstreamed throughout the entire document. Although gender is often one of the guiding principles of the introductory chapters of key PMTCT guidelines in Tanzania, gender is not mainstreamed and document goals, objectives, and strategies do not incorporate gender considerations. Most policy documents are gender sensitive, that is, they indicate gender awareness without stating remedial measures. This might be explained by the fact that in the design stage of a policy or strategy, gender is handled as an “add on” ” in order to fulfil certain requirements, rather than being made an integral part of the entire policy. Overall, this study revealed limited integration of gender concerns (less or lack of attention on the disadvantageous position of women in terms of inequality in ownership of resources, power imbalance in decision making, asymmetrical division of roles, and masculine norms that distance men from maternal and child care) in PMTCT guidelines. Revision of guidelines to mainstream gender is greatly needed if PMTCT services are to effectively contribute towards a reduction of child and maternal morbidity and mortality in Tanzania. Strengthening male involvement in prevention of mother-to-child transmission of HIV in Enugu State, Nigeria	Why are maternal health outcomes worse for migrant women in Masindi, Uganda?